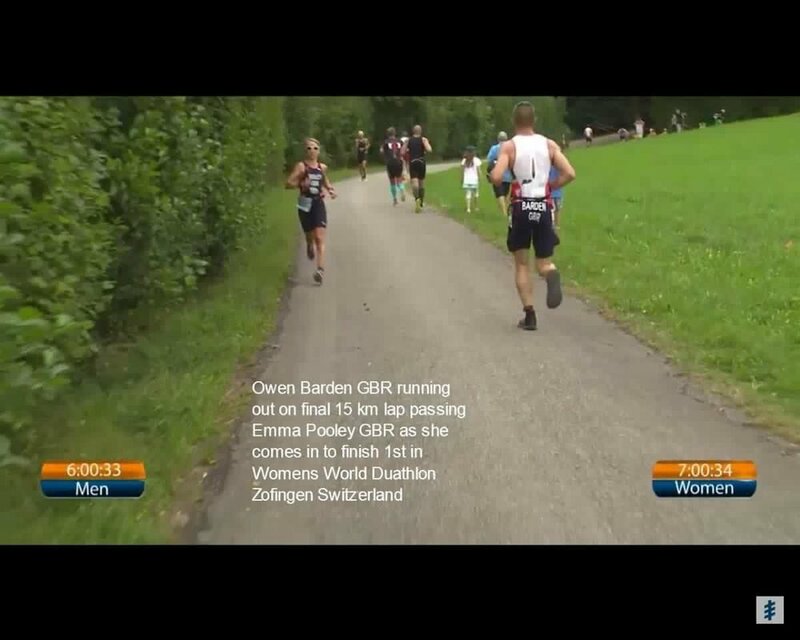 ITU 2016 Long Distance Duathlon World Championships, Zofingen, Switzerland. At least this time there is no swimming to worry about! Instead I am anxious about travelling with my bike. I have never raced abroad before and I am a hopeless mechanic. Nor do I particularly trust EasyJet with my bike. My family are travelling with me and our flight being delayed by two hours only adds to my nerves because it means we will arrive after the car hire desk is scheduled to have closed for the night. Thankfully they wait for us, we spend Friday night in Basel and then make the 40-minute drive to Zofingen. Zofingen is lovely - the old town is chocolate-box pretty - but I have to focus on assembling my bike. Thankfully I put it back together ok and the on-site mechanic tweaks the gears for me (free of charge) and I'm good to go. I can just relax, eat, rest and try and keep out of the sunshine: it's pushing 30°C. Everything about this race is really well organised. Everyone is super friendly. But the course is not. The race consists of a 10k run, 150k bike, and then a 30k run. It is very hilly. I have not trained for hills: Outlaw was my "A" race and qualifying for this just a bonus. So my plan is to do what the very knowledgeable GB team captain advises - just cruise it and see what I have left for the final lap of the final run. It is a sound plan. The first run starts with a 100m climb in the first 1.5k, then it dips a bit before another gentle climb. Then you head back downhill to the start and complete a second lap. I was calm on the morning of the race (no swimming!) but as soon as the gun went I got a massive adrenaline rush. That, together with the hill, meant my heart was in my mouth for the first fifteen minutes, but after that I settled into my rhythm and tried to enjoy running through woods, helped by high-fiving the kids at the end of the first lap. I finish the first run comfortably in 41:38 and head out on the bike. Again, the plan is to take it steady. The bike course is three 50k loops. The loop starts flat but contains three big climbs. So that's nine climbs. All in all, 1700m of ascent over 150k. That's as much climbing as the current IMUK course in 30 fewer kilometres. And I have not trained for hills. Unlike Bolton though you are riding on pristine Swiss tarmac and not dodging potholes the whole time. You pass through picturesque villages and learn that all the cows really do have cowbells. At the top of the middle climb, the biggest one (Bodenburg) you are rewarded with cheers of "Hup hup hup" from the locals and a stunning vista, the snow-capped Alps in the distance off to your left. This is followed by an exhilarating, fast, multiple switchback descent. I maxed at 71kph and also burnt some brake pad rubber! Good job the forecasted thunderstorms never materialised. I find myself playing tag with a few of the other Team GB men (the women set off an hour earlier) and am pleased to be holding my own with some of the more experienced athletes in what is only my second ever duathlon. The female lead and eventual winner, Emma Pooley, shoots past me as though I'm not moving halfway around my second lap. The only other incident of note is a minor panic when the wind whips a wrapper out of my hand while an official-looking car is right behind me: littering is penalised by automatic disqualification and also a potential fine (those need and tidy Swiss don't like litter...) but luckily nothing comes of it. I finish the ride in 5:07, averaging 29kph. This is slightly faster than my IMUK pace from last year so I am definitely pleased with that. Then comes the second run. It is a beast. You start with an even steeper climb than the one at the beginning of the first run, and it goes on for 2.5km instead of 1.5km. Then there are more ups and downs through the woods before you reach a plateau which you run around before beginning another ascent. Then you come back down to the plateau and retrace your steps to the start. And then you do it all over again. All in all, 545m of ascent over the 30k. I decide to walk the ups and run the flats and the downs. I have done enough offroad running in my life to know that there is no point trying to be macho and run up long steep hills when you are tired. Walking is just as fast and burns a lot less energy, and you can then use the energy saved, plus gravity, to go faster elsewhere. There's a light drizzle which is helping me to keep cool. So I don't feel too bad when I finish my first lap, high-five the kids again on my way into the arena - they make you run right past the finish line! - and then head out on the second lap. The crowd support here is good and you find yourself chatting to other competitors (mainly complaining about how hard it is). I am still keeping up with several other GB athletes and manage pretty even splits for the two laps - further proof of the wisdom of the run-walk strategy. Lots of people are obviously seriously struggling on the run. The good thing about that hilly first climb is that it turns into a 2.5k downhill run to the finish. I head into the arena, am passed a Union Jack, high-five the kids again who are now in the grandstand at the finish line, and come home absolutely knackered, clocking 2:35 for this run and 8:41 altogether. I am congratulated by the medal givers, the head of the organisers, Powerman, and even one of the technical officials who tells me that they've laid on the rain especially so we Brits feel welcome. This is a tough old race but a really good one. It is very well organised and friendly and Switzerland is beautiful. Get involved!